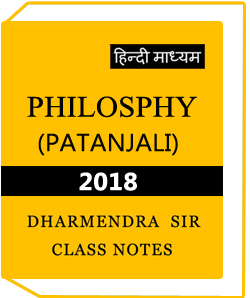 Patanjali Philosophy Hindi Medium Printed Notes The conversion of insight, administration and achievement. ” PATANJALI IAS CLASSES ” emerges from the pack in giving the most productive direction, drawing closer it from every conceivable edge.Patanjali central goal is to demystify the IAS exams and help hopefuls gain the certainty and fitness to rise effective.INSTITUTE process is to such an extent that the understudies feel good and make taking in a charming knowledge. It is the finish of the best personalities in the field and the astuteness to deliver huge examples of overcoming adversity. 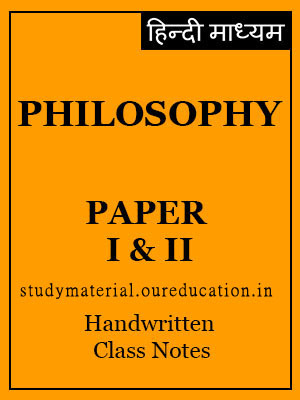 Patanjali Philosophy Hindi Medium Printed Notes divided into two parts they given below..
2. Soul: Immortality; Rebirth and Liberation.